A teenage driver who is due to stand trial in August over a serious road accident in Queensbury which resulted in the death of one of his passengers has made a further appearance before a crown court judge. 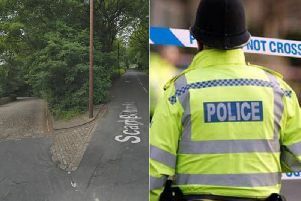 Bradford man Kallum McCarter, 20, died in hospital about five weeks after a Mini Cooper being driven by Halifax teenager Zachary Willemse collided with a Toyota Hiace on the A647 in the early hours of Easter Monday last year. Willemse, 19, of Gibb Lane, was injured in the collision on Priestley Hill along with a 17-year-old female passenger and a 38-year-old man who had been in the Toyota. Willemse has been charged with causing the death of Mr McCarter by dangerous driving and further offences of causing serious injury to his female passenger and Matloob Hussain by dangerous driving. The teenager appeared before the Recorder of Bradford Judge Roger Thomas QC at Bradford Crown Court this morning (Friday), but his plea and case management hearing had to be adjourned until later this month. The court heard that a bereavement had meant that a meeting due to take place prior to the hearing had not gone ahead and prosecutor Stephen Wood told the judge that a new date for Willemse to formally enter his pleas to the charges could now be fixed for May 29. Judge Thomas noted that the new date was relatively soon in light of the fact that Willemse’ trial was set to start on August 17 and he extended the teenager’s unconditional bail until later this month.